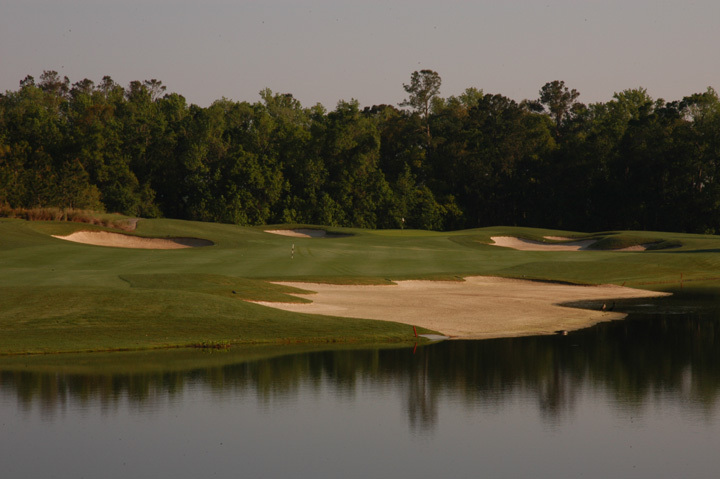 Caddie's Summary: Truly a championship venue, the King and Bear offers a dynamic challenge while enjoying a scenic beauty. 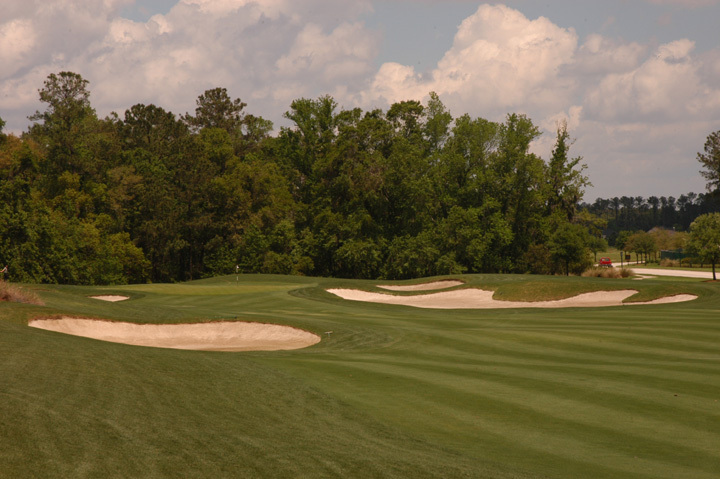 With a rating of 76.1 from the tips, even the pros can feel the difficulty of this course. 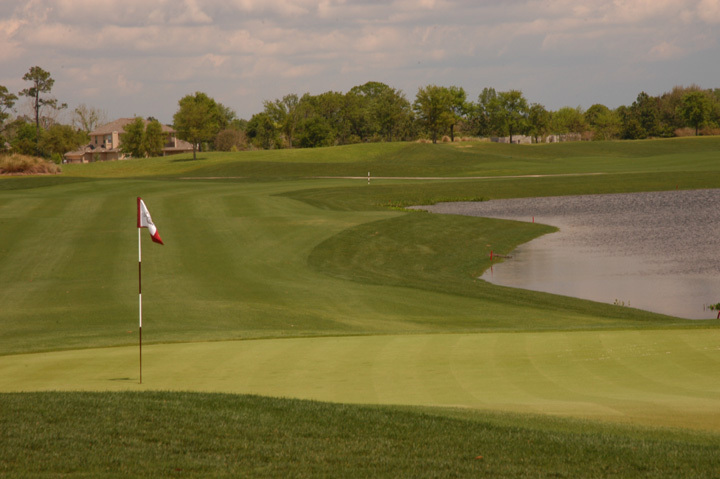 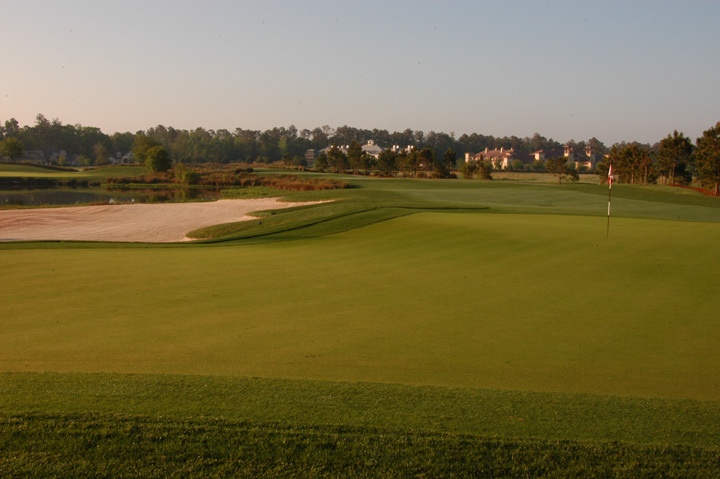 Few houses surround the course and the manicuring is maintained as crisply as the most elite private courses. 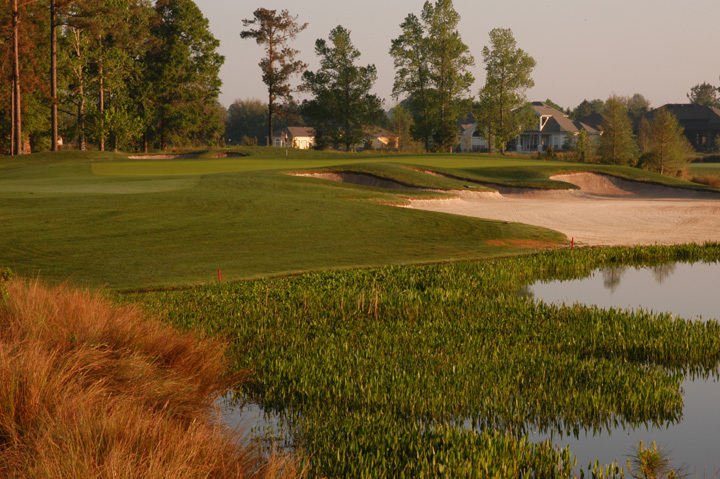 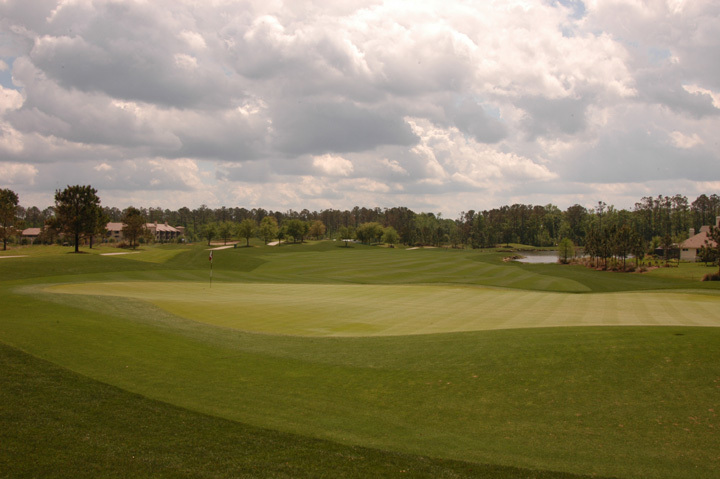 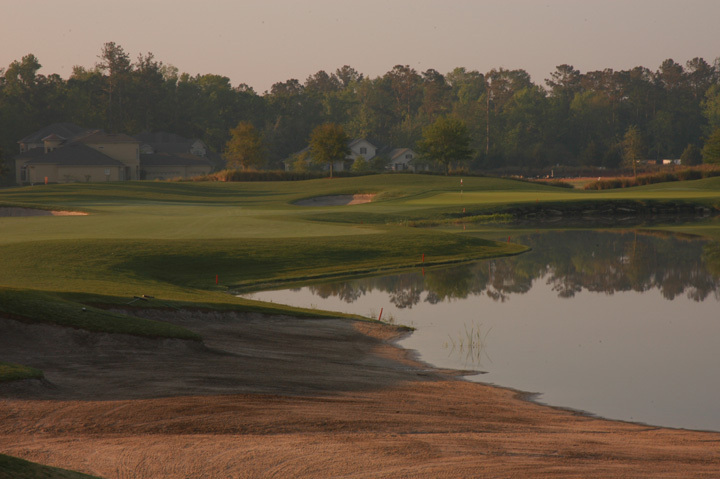 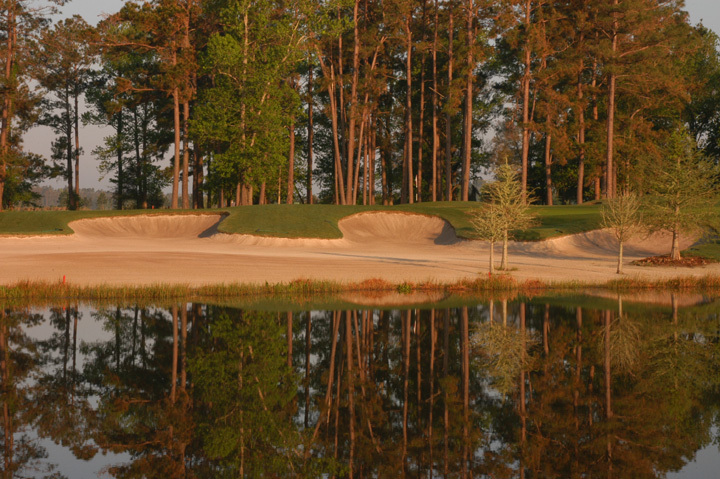 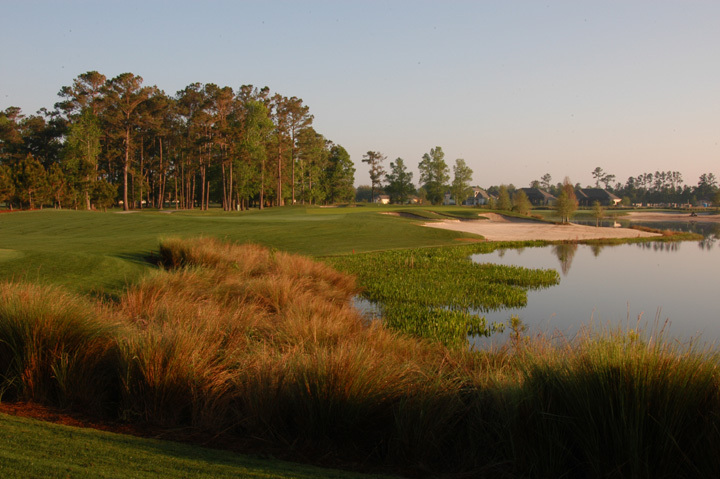 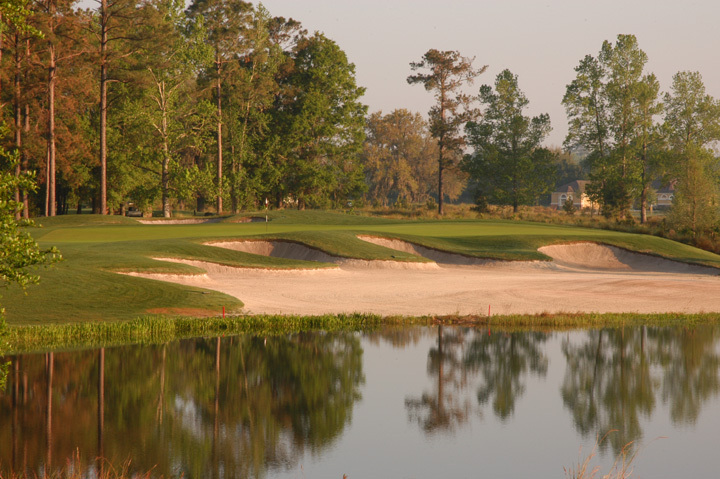 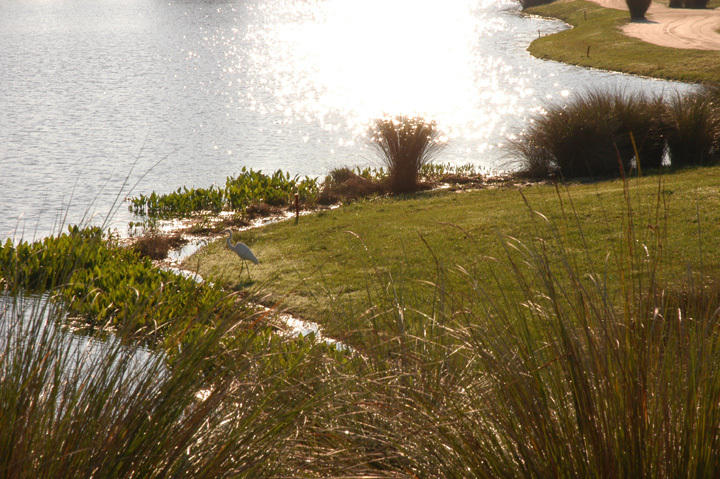 Ideal conditions assists the golfer as tight tee shots with deep bunkers, water and gators lurk. 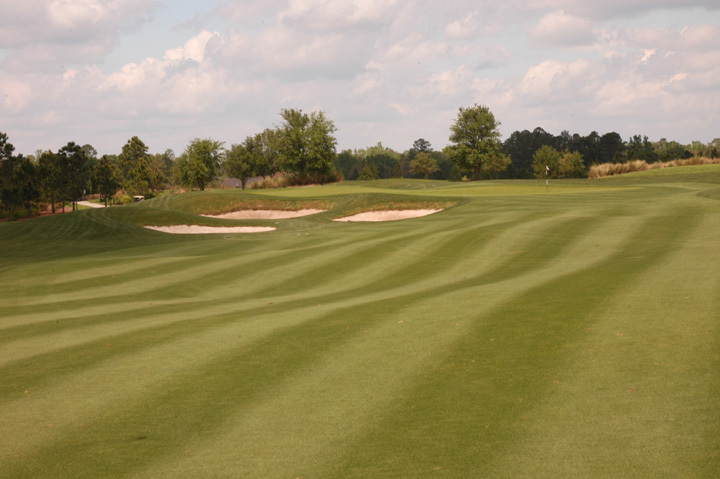 Approach shots are to huge greens with plenty of ridges and swells. 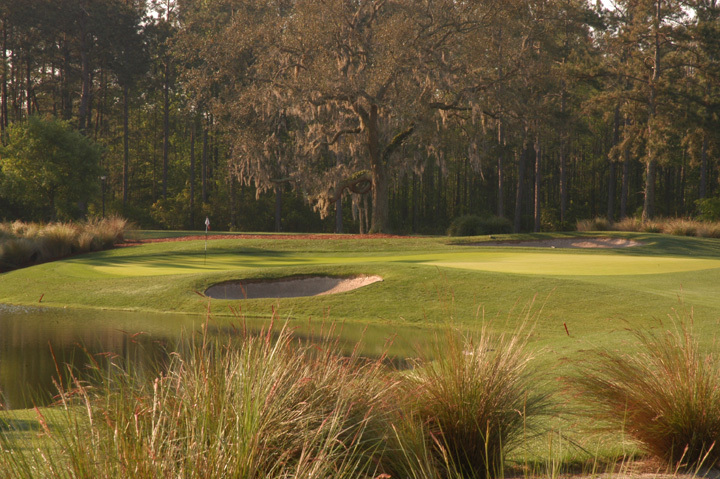 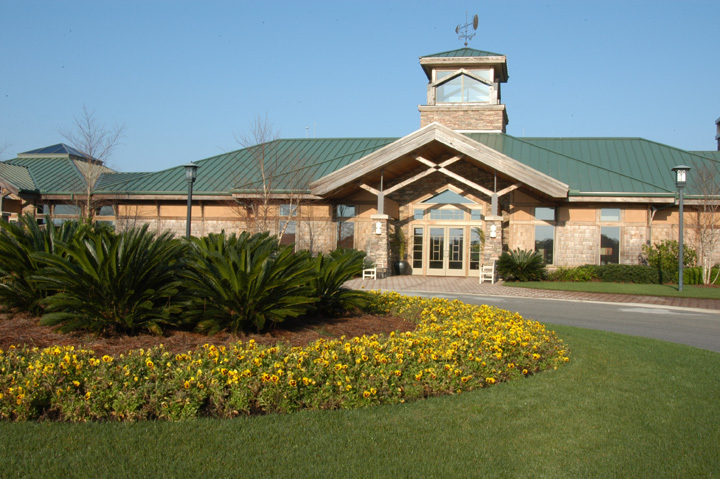 King and Bear is among the toughest golf venues in the Northern Florida area and play is normally well spread and lacks the typical public course waits. 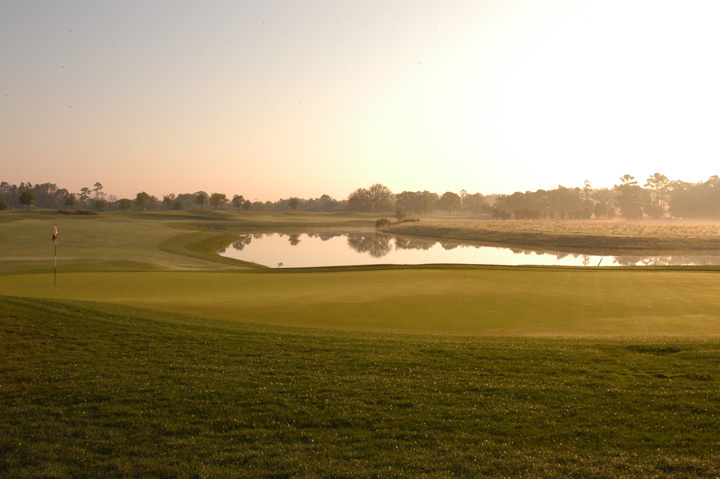 Bring your best game if you challenge the King and Bear and expect one of the best public plays available.